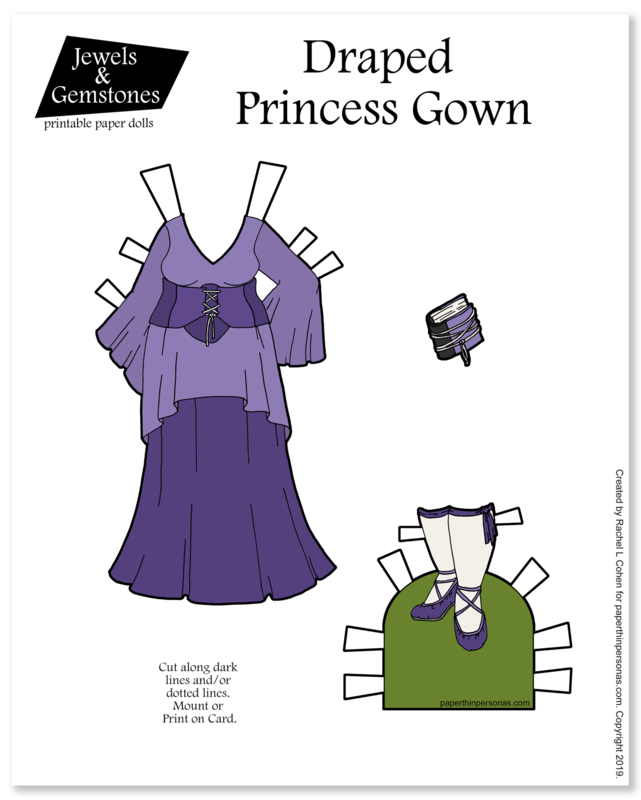 It endlessly fascinates me that in my Etsy store, my second best selling paper doll clothing are my contemporary designs, but on the blog and social media, these styles get the least feedback or attention. I don’t know why the difference exists, exactly, but I am intriqued that it does. Anyway, the contemporary paper dolls are fun to draw for me, because I’m always interested in what is happening in the fashion world. 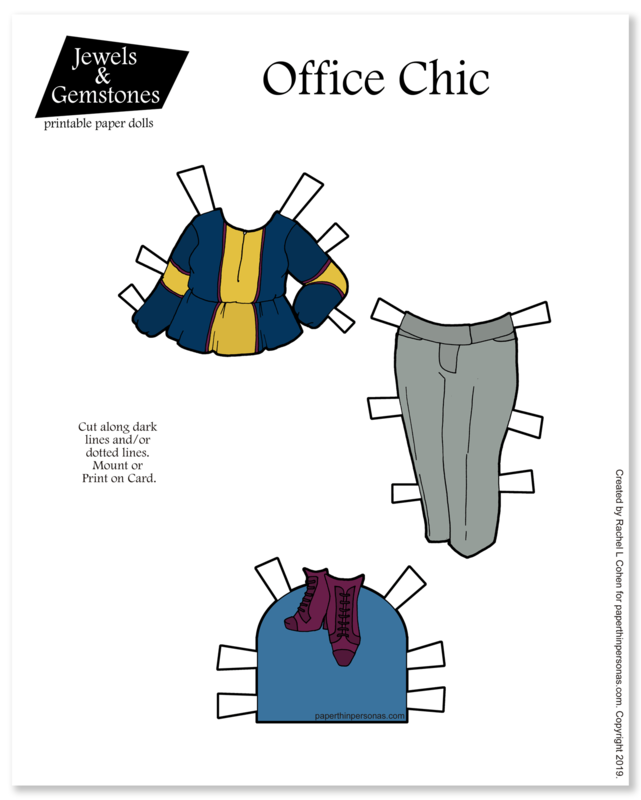 Today’s fashionable paper doll is a pretty simple outfit, but also one I think is very work appropriate. Specific Source Images: The shoes were based on an add I saw in Instyle Magazine. I don’t have the issue anymore and don’t recall the brand. It occurred to me as I writing this blog post, that while I drew this paper doll in her work chic clothing, I don’t actually know a lot of plus-sized work brands. I know Eloquii, but I don’t know any others. I’m sure there are others out there. Some people recommend Torrid, but I find their clothing a little too casual for work (or at least my work) most of the time. I don’t wear plus sizes, so it’s not a problem I’ve had to tackle much. Readers, are there great brands of plus sized work clothing that I’m missing? Let me know! As I often do, I want to make sure that I thank my Patrons, their support makes this possible. I know that it isn’t possible for everyone to support the blog financially, so you can always share on social media, follow me on social media or tell a friend about it. On some level, I draw the sorts of paper dolls I wanted as a child. I wanted hundreds of outfits. I didn’t want 100s of dolls, but one doll with a huge wardrobe. Well, now a days I also recognize the importance of doll variety (being that I am no longer 12) and I have too much fun drawing different dolls to just have one. Now, I admit things get a little random around here. This week they certainly will, but I hope everyone has as much fun as I do with the random. 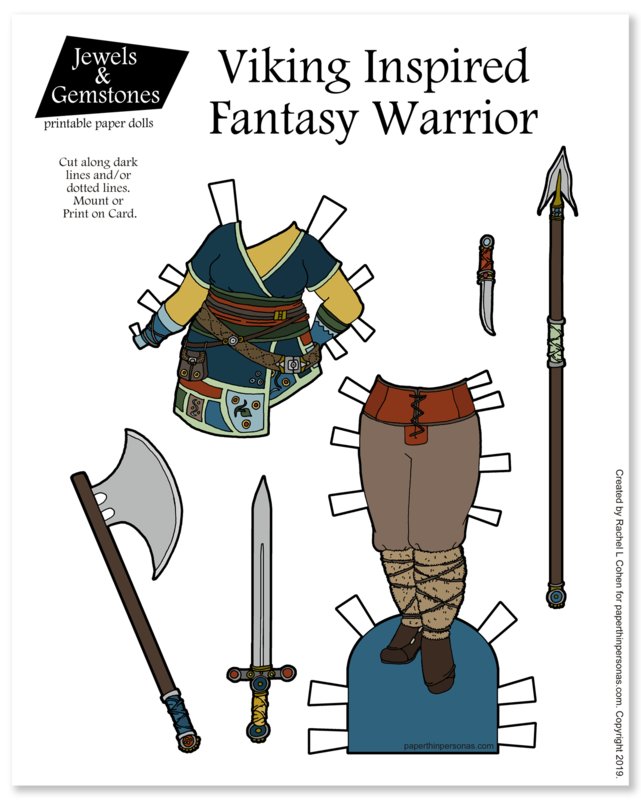 In my head, I sort of organize my fantasy paper dolls in to several categories based on their general aesthetic. There’s Asia inspired or Renaissance inspired or Russia inspired. Today’s set was Viking inspired, but I mean… it’s a fantasy outfit, but it feels Viking to me. Specific Source Images: This Viking Woman Warrior which I found on Pinterest and couldn’t find a source for, sadly. It’s lovely digital art. Let me know if you know the artist. Today’s Viking inspired fantasy outfit will be followed by some professional wear tomorrow. See, I said this week would be random. This week’s random collection would have gone up last week, but cybergoth won the poll I gave those who support me on Patreon. If you want some input into those things, you can join us there. Now, I know I will always sometimes have random weeks, because I don’t always want to draw a bunch of the same thing, but I am curious. Do you prefer weeks with themes or weeks of random? I feel a little divided. I think theme weeks are great if you like the theme, but maybe little dull if you happen to hate cybergoth or something. What do you think? Let me know in a comment. And today is the last day for cybergoth week on the blog (but there is a Friday additional post on Patreon for my backers). One thing I noticed in my cybergoth research was a real prevalence of black with a strong accent color and an aesthetic that emphasized matching clothing pieces. So, for example, if the accent color was pink than I wasn’t seeing a lot of deviation from that pink. That meant, that I stuck to just five colors- black, white, pink, blue and green for this whole week. 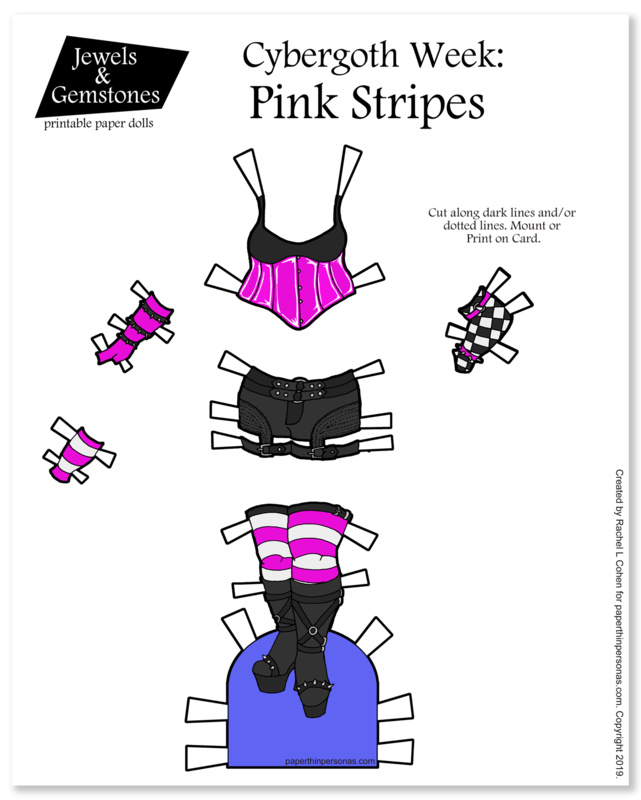 All of those colors are in the Lapis’s cyberlox if you’re wondering. I did think about that. As I often do, I cobbled together several different outfits and pieces to make today’s outfit. Since I used pretty much the same sources for this whole week (because it was a project drawn all at once), I seem to be linking to the same things every time. But that’s okay, because who knows how people will view these posts in the future. I know striped tights are kinda of a 90s/2000s thing, but I still love them. Probably because I was in high school back then. Well… early 2000s really. I graduated in 2003. Over on Patreon there will be an exclusive cybergoth outfit for my Patrons. It’s maybe my favorite one for this whole week. If you’re ever wondering what my sketchbook looks like or seeing little videos of me inking, than follow me on Instagram. That’s where I tend to share that stuff… Well, Instagram and Patreon. As we continue cybergoth fashion week, today’s outfit is one of less traditional. I noticed some cybergoth images used white as the neutral color rather than black. I didn’t want to do a solid white outfit, because I wasn’t sure how well it would mix and match with the rest of the clothing designs. So, I settled on a white and black combination. 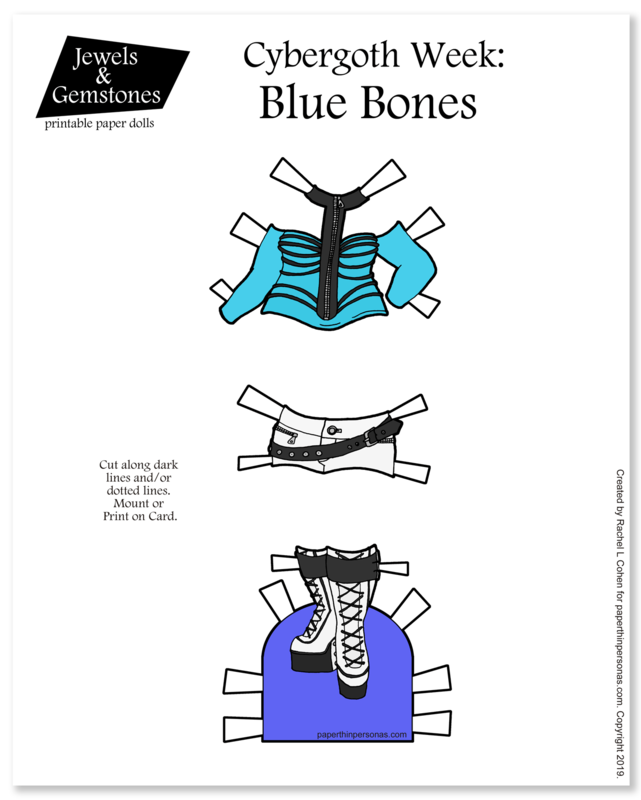 I titled this set “blue bones” because the piece over the shirt looks like ribs and a spine to me. 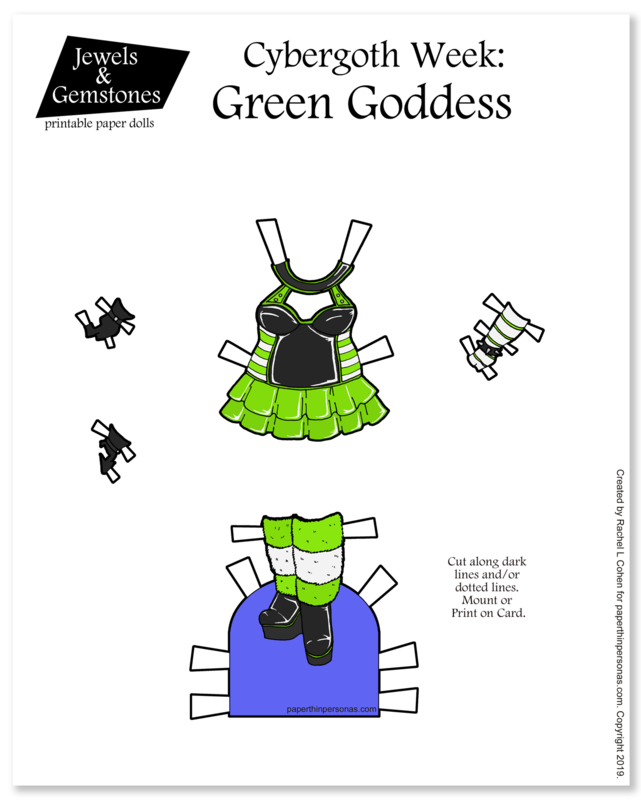 I loved the original body suit this top is based on, but I had no idea how to make it a viable paper doll outfit! I always try to remember to thank my supporters on Patreon, because they make the blog possible. So, thank you all! There must be a term in linguistics for creating new words by combining other words like cyberpunk + goth = cybergoth. I have no idea what it is though. Too long since I took a linguistics class in college. Anyone know?